With any prospect lists there are going to be debates about the rankings. This is what makes prospecting fun. 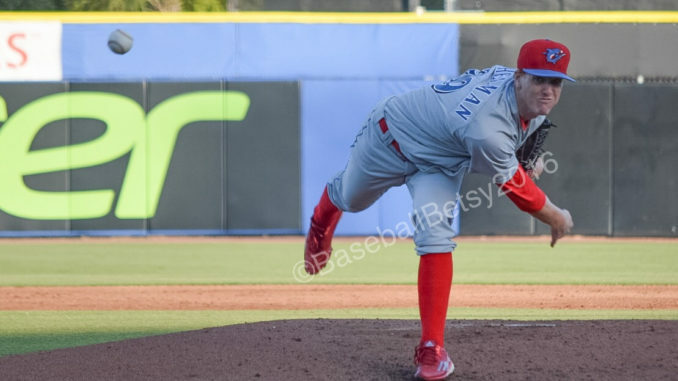 With the conclusion of our Top 50 series, I’m going to look at some other Philadelphia players who were just outside of my Phillies Top 50 Prospects for 2019. I’m hoping some of these gentlemen make it into my mid-season Top 50 if a few of the current ones are promoted and pass the rookie thresholds. Some of these players are a few years away but it’s always best to get in before your opponents on these prospects! Feel free to let me know if I missed anyone else who could surprise us this year! Stewart had a strong year for Lakewood last year after struggling in his previous campaigns. Struggled the previous years but really put it together in 2018. Could develop into a 4 starter due to lack of a dominant, put away pitch. Editor’s Note: Marlins liked Stewart, too, since they acquired him in the Realmuto trade. Tony wrote and submitted this column just prior to the trade. One of the team’s 2018 acquisitions from last year’s J2 signing period. Some scouts had him ranked as the top pitcher available. He’s still very young but has a mid-90’s fastball. If he can harness his control, he could be a mid-level starter. He probably won’t sniff the majors for at least 5 years but dynasty owners should try to get him now. Originally acquired in the Ken Giles trade back in December 2015, Eshelman had a solid 2017.. Coming into 2018, it was thought he could help the Major League team during the summer but the wheels fell off for him completely last year, as seen in the stats above. He’ll head back to Lehigh Valley for another campaign. Needs a solid showing this year to get back in the team’s plans for him. 2018 season in the books, now it’s onto the playoffs !! Another pitcher who came into 2018 with better hopes to develop into a future contributor to the big league team but had back injuries and was overall ineffective in 2018. He’s still only 23 years old and is one year removed from a 0.96 WHIP and 121 strikeouts in 120 ⅓ innings pitched. Had a solid year for Single A. Not much power but has a good hit-tool and approach. Could project to a 4th outfielder role in the majors. Has some pop for a middle infielder but not much of a hit-tool or glove. Projects to be more of a bench player than a starter.. His brother, Phil, is a pitcher in the San Diego Padres organization. 12th round pick in the 2018 draft out of Mississippi, McArthur looked great in his 33 innings last year. He has a mid 90’s fastball and can develop into a mid-rotation starter. Will be moved quickly through the system. I’m pretty excited about watching him grow and expect him to show up in the mid-season Top 50. Drafted out of high school, O’Hoppe is a ways from the major leagues. He has shown a good hitting eye and some pop behind the plate in limited appearances. I can see him shooting up the lists if can continue what he did last year. He’s another player that I’m excited to see develop in the future. Another catcher? Yes – this is definitely a good problem for the organization to have quite a few catching prospects to hedge against normal attrition for the position. Duran has shown good defensive skills so far with developing power. Garcia was used as a starter and reliever prior to coming into 2018 but spent the entire year in the bullpen last year and it worked out well for him and the team. With a mid-90’s fastball he could be this year’s version of Seranthony Dominguez, being called up to throw some high leverage innings. Those in dynasty leagues with Holds categories should look to grab him. Brito hasn’t done much in his time with the organization but he’s still young. Doesn’t have much power but has shown some speed during his time in the minors. Could move into a future utility role if his defense holds up. Hey Pat, thanks for reading and the comment! Taveras was designated for assignment by the team late last summer after struggling again. I’m hoping he bounces back this year.